The Creator called our father home. With heavy hearts we announce the sudden passing of our father, Charlie Herney. He joins our dearly loved, late mother, Matilda â€˜Tillieâ€™ (nee Googoo). He was predeceased by his son, Earl, daughters, Rhodena Christmas and Theresa Mugridge. He is the son of the late William Herney and was raised by the late Susan Margaret Gould. He is survived by his brothers, Sulian and Bobby (Virget) Herney. Charlie was predeceased by brothers, Leo Joe, (Membertou), Noel and Tom Herney (Eskasoni). Also predeceased by sisters, Flora Francis (Eskasoni), Mary Agnes Francis (Malagawatch), Margaret Copage (Shubenacadie) and Christine Herney (Maine). Missing him are his daughters, Linda (Lawrence) Wells, Hazel, Sylvia, Bernadean and his sons, Bruce (Sandra) Herney, Michael Herney, Clifford Copage, Logan and Jeffrey Herney, (Regina, Sask.) and brother-in-law, Fred Googoo. Charlie loved his grandchildren; they miss him and they loved him dearly, including Elissa, Rosalyn, Dawn, Chelsea, Crystal, Lynn, Deborah, Julianna and Jada, (Regina, SK). He loved his grandsons, Donald, Lawrence, Brandon, Drew, Russell, Raymond, Rodney, Julian, Joshua and Leo. Charlie loved music, especially the fiddle. He used to take in all the local Cape Breton fiddle concerts in Big Pond and Iona. He loved practising the fiddle with his late friend Wilfred Prosper. At any aboriginal ball tournament from Cape Breton to Ontario, Charlie could be heard yelling â€œAtta Boyâ€ to encourage others! He was instrumental in developing young ball players into such memorable teams as the Membertou Thunder Birds. Charlie also loved to bowl. He was a member of Sydney Pensioners Club. Charlie, his late wife Tillie, and Mrs. Pauline and the late Wallace Bernard were the first to organize the annual pilgrimages from Membertou to Ste. Anne de Beau Pre in Quebec. Charlie had many stories and adventures that made the long trip more memorable, so we hear. He attended services at St. Anneâ€™s Church and St. Anthony Daniel. He loved songs in the Miâ€™kmaq language as he was fluent in two languages: English and Miâ€™kmaq, his first language. Charlie was a carpenter and cabinetmaker by trade. Charlie worked at J.W. Stevens Lumber Company for more than 20 years. He worked for 15 years with the Union of Nova Scotia Indians. He later became a small business owner: Herney Dairy. He had a wonderful sense of humour that he loved to share. 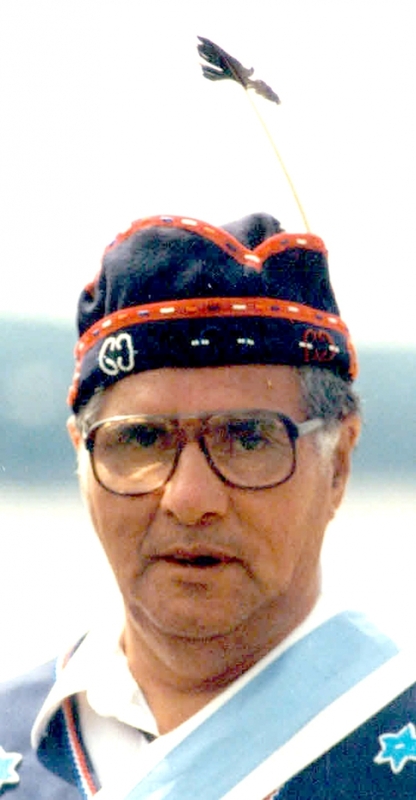 Charlie was a member of the Miâ€™kmaq Grand Council for over 30 years. He served as the Putus for 18 years. It was a responsibility he treasured. Charlie met the Queen and a Pope. He laughed and joked and prayed and encouraged others all his life. When you see a driver with a turn signal blinking for a while and a slight slow-down in traffic, think of Charlie. For every good play in ball or hockey, remember to give an â€œatta boyâ€ !! !, itâ€™ll make your day a little brighter. People called Charlie the boss or Putus. He loved to camp at Potlotek for Chapel Island Mission Days. Public visitation will start Thursday, Jan. 14 at 6:30 p.m., at 127 Membertou St., Membertou. Funeral mass will be celebrated Saturday, Jan. 16 at 10:30 a.m. at St. Anthony Daniel Church with Rev. Donald MacGillivary officiating. Interment in Resurrection Cemetery, Sydney Forks. Saliâ€™te to take place at the Membertou Trade and Convention Centre. Online condolences may be sent to twcurryparkviewchapel@ns.sympatico.ca.